In addition to building chairs and turning wood, I am in the process of restoring and maintaining a 1976 Royale GMC motorhome. 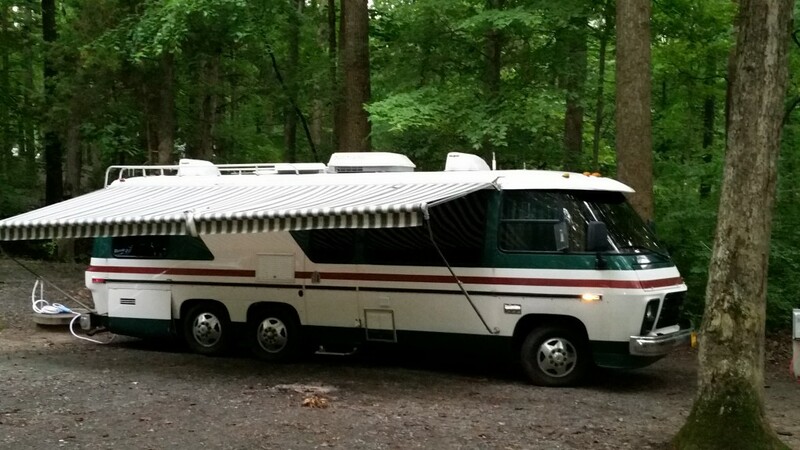 This motorhome will be my home as I travel to various crafts shows. Any 40 year old vehicle is going to need some work and our motorhome is no exception. I will be documenting the trials, tribulations and fun I have keeping this classic motorhome on the road. Hopefully these pages will allow you to live vicariously through my efforts. Click HERE to find out how it all began! I apologize for not seeing your post earlier! The GMC is still for sale and we are asking $20k. We are now located outside of Denver and would be happy to answer any questions you might have. i see its been a year, but is it still for sale? We are always ready to entertain offers! Since we moved to Colorado we haven’t been able to use it as much as we had hoped. If you have questions, let me know.